Natural, organic care for wild children & babies with tranquil chamomile, mild lavender and gentle mints. 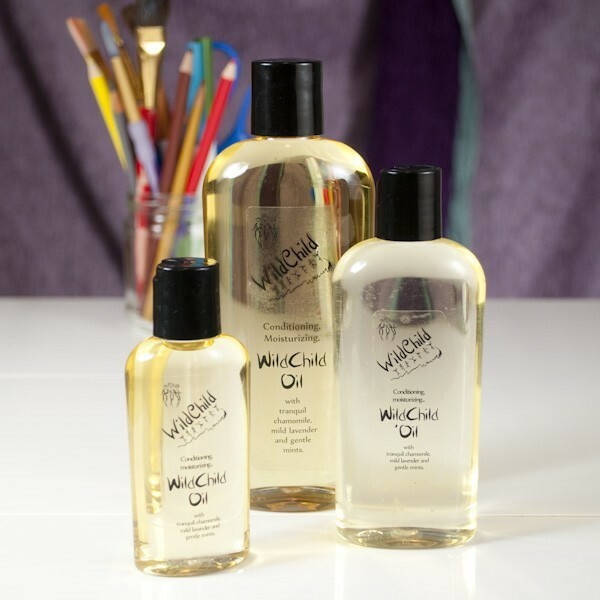 WildChild embodies all that is natural, free and pure for the pampered care of wild wee ones. For extra special WildChild skin attention we recommend our fabulous oil. Use for infant massage, bath oil, scalp treatment and all over moisturizing. Made with Wild Women's original oil concoction of eight premium plant oils and scented with pure aromatherapy grade essential oils of tranquil chamomile, mild lavender and gentle mints.